You bought into a PPC campaign. Your website traffic begins to pick up speed. But, your sales numbers are not moving up. In fact, your lead count is not increasing either. How do you convert PPC traffic to leads? This is actually a common scenario that hits plenty of businesses who run a successful PPC campaign but do not have the rest of their marketing plan in place and functional before the campaign opens. The breakdown point is that PPC traffic is not converting to leads. It is critical to have the tools in place before you open your PPC campaign. Make sure to focus your PPC ads on the right audience. You are getting great traffic numbers from your PPC campaign. But, is that traffic right for what your company is selling? If you are paying for each click on an ad, you need to make sure your traffic is highly qualified for what you offer. That will increase your traffic conversion rates. 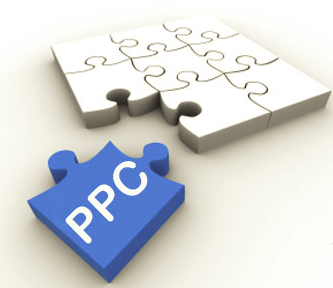 Maintain continuity between the PPC ads and the landing pages. Continuity is paramount in advertising. If your ad says one thing and your landing page does not continue that message, you will see much of your hard-earned traffic leaving as quickly as they came. Use the same messages, colors, themes, and tone in both the ad and the landing page. Focus the landing page. Many businesses make the mistake of cramming too much information on their landing pages. They are trying to tell their entire story all at once. The focus of your landing page is to give enough information to entice the visitor into becoming a lead, or at least, exploring more of the site to learn more. The right landing page is imperative to convert PPC traffic to leads. Offer a free incentive. On the landing page, offer an incentive as a thank you gift for the visitor if they give contact information. The incentive is just about anything of value including a free PDF report, access to a webinar, a white paper, a learning course, or access to a special part of your website. This incentive will tempt many visitors into taking the critical step of becoming a lead. Keep the information gathering simple. When you get a visitor to give you contact information, keep the information request simple. Do not ask for their biography just to get access to the incentive. Gathering their name and email address is enough for most lead nurturing efforts. You can gather more information later in the nurturing process. Ask for too much information and you will lose a lot of people. Provide alternate forms of contact. This may seem like a useless step. However, you will find a few people who refuse to give out their information to a nameless form. If you give them alternative forms of contact, you can tempt some of them to take that alternate route and become a lead. One examples of this is to offer an email address they can communicate with. Once you have that precious lead, you need to take further steps to convert that person to a paying customer. But, converting traffic into leads is the first critical step. Keeping your PPC focused and providing an equally focused landing page will keep visitor interested. Giving them a free incentive and a simple form to fill out will help the conversion process. Providing other forms of contact will give the nervous ones a way around the form. All of this will help convert PPC traffic to leads on your website.